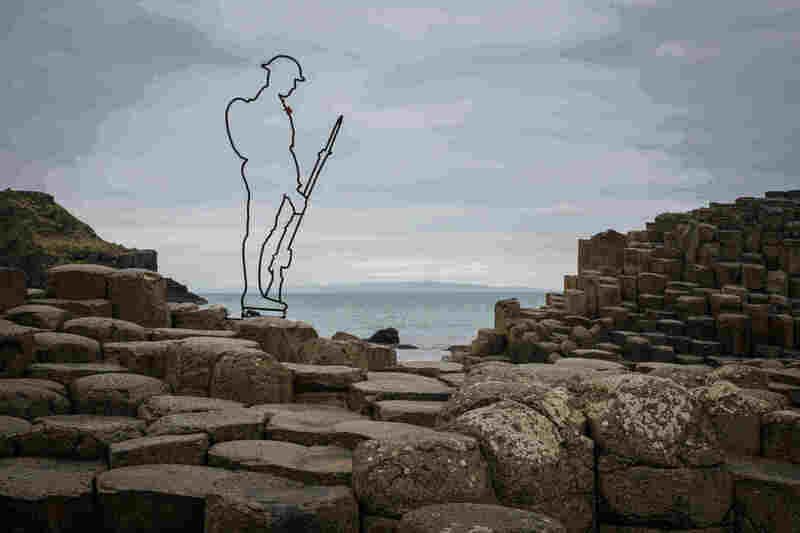 Ghostly figures of First World War soldiers or ‘Tommies’, have sprung up all over the UK today, as part of a new fundraising campaign led by former Chief of the General Staff, General The Lord Dannatt and supported by Birdsong novelist, Sebastian Faulks. Hoping to raise in excess of £15 million for armed forces and mental health charities, including WalkingWith The Wounded, the six foot high Tommies are part of a nationwide art installation called ‘There But Not There’. The campaign marks 100 years since the end of the First World War and aims to commemorate all those who lost their lives. The Tommies will be touring the country until Armistice Day and members of the public are being encouraged to buy their own 10 inch versions to remember their own relatives. The money raised from the sale of these commemorative figures, which are made by military veterans, will be distributed evenly between The Royal Foundation: HeadsTogether, Walking With The Wounded, Combat Stress, Help for Heroes, The Commonwealth War Graves Foundation and Project Equinox: Housing Veterans. Alongside the touring Tommies, local community groups, such as schools, businesses, places of worship and village halls will be given the opportunity to host their own ‘silhouette installations’. The silhouettes, different in shape to the standing Tommy, are designed to fit into seated spaces and were inspired by an art installation by Martin Barraud at Penshurst Church in Kent in 2016. The installation at Penshurst Church included 51 silhouettes, one for each name on the local Penshurst war memorial. It is hoped that communities will honour the fallen on their own local war memorials, by placing a silhouette for every man that fell in local community spaces. For more information aboutThere But Not There or to see how you could get involved in holding your owninstallation, please visit the There But Not There website.